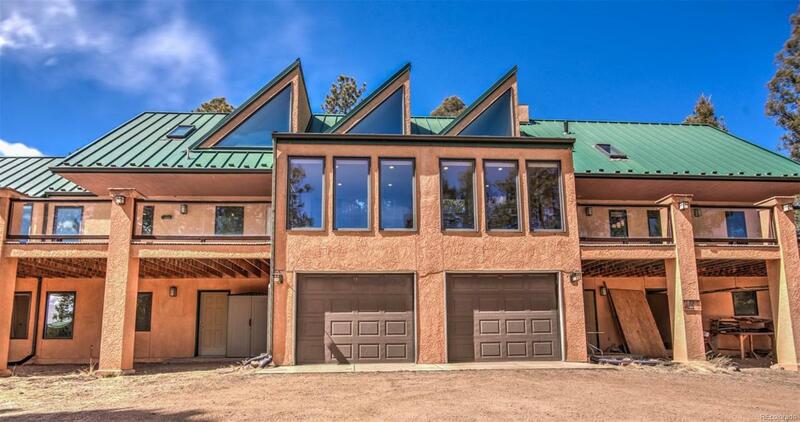 FANTASTIC 35 Acres with AMAZING Pikes Peak views, and Southern Exposure. All Custom home, with tons of privacy, plus convenient main level living with walk out to the lower level. Tile throughout this home, with a HUGE kitchen with Granite counter tops, and Cherry cabinets. Ready for all your cooking, and baking needs, all appliances included. Private master with walk in closet, and 3/4 bath. Large living room 23x17, with a wood stove to cuddle up next to on a winters day. Walk out to large Treck Decking. Dining room includes, the dining room table with 8 chairs, no extra charge. Spiral stairs to larger loft, this is a great room for the children, grand babies, or even a large office. Jack-N-Jill bedroom with a 3/4 bath; Laundry on the main level. Lower level walk out to backyard; large family room with wood stove. Home also includes radiant floor heat, a sauna, alarm system, seasonal pond,is zoned for 2 or more horses, low maintenance metal roof, and a BEAUTIFUL stucco exterior. Offered by Re/Max Performance Inc.